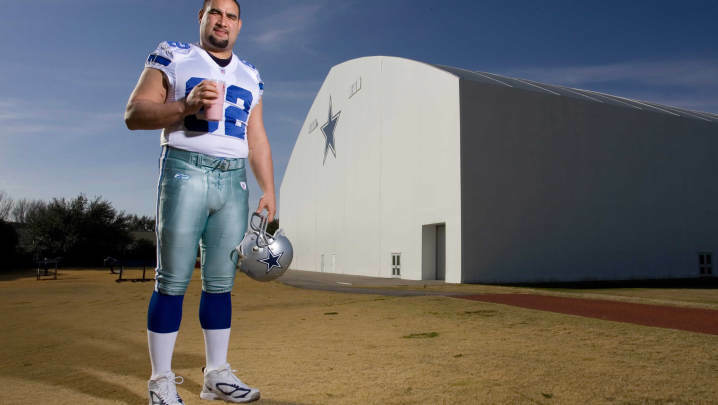 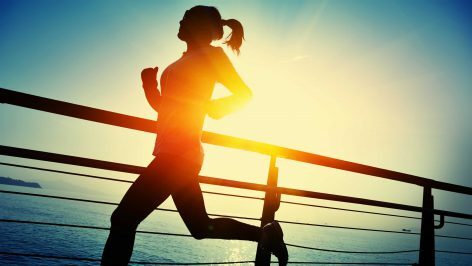 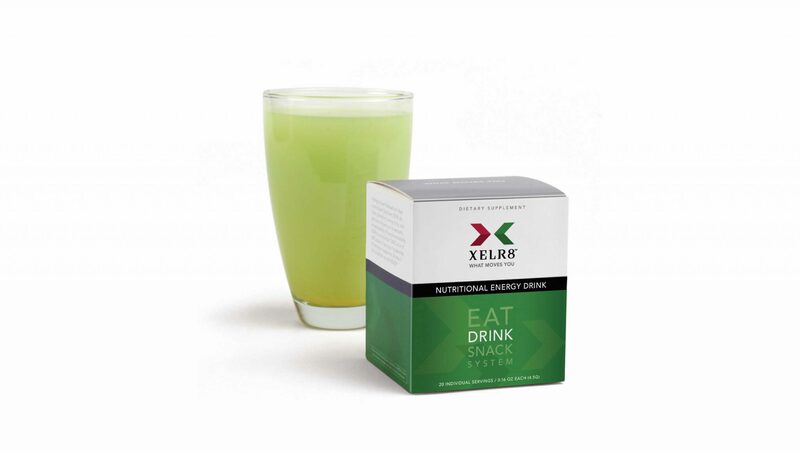 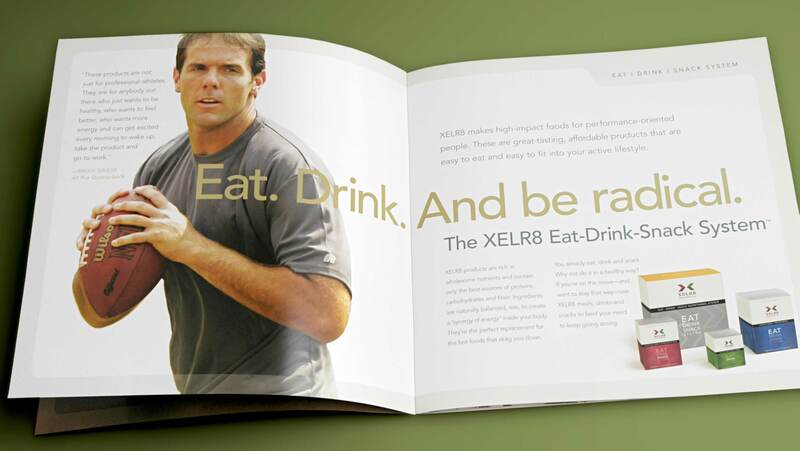 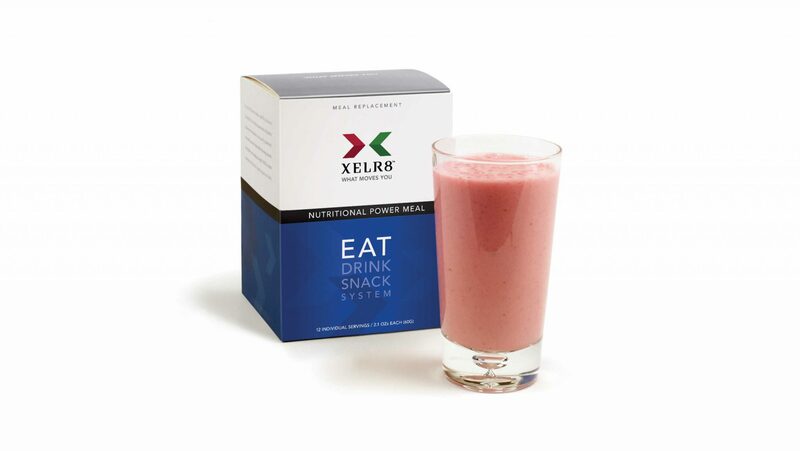 XELR8, a nutrition and weight loss supplement manufacturer, used professional athletes to endorse and market its products. 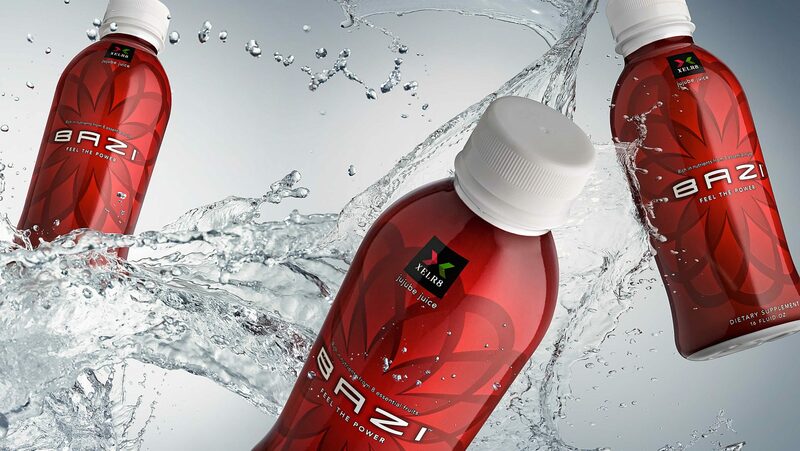 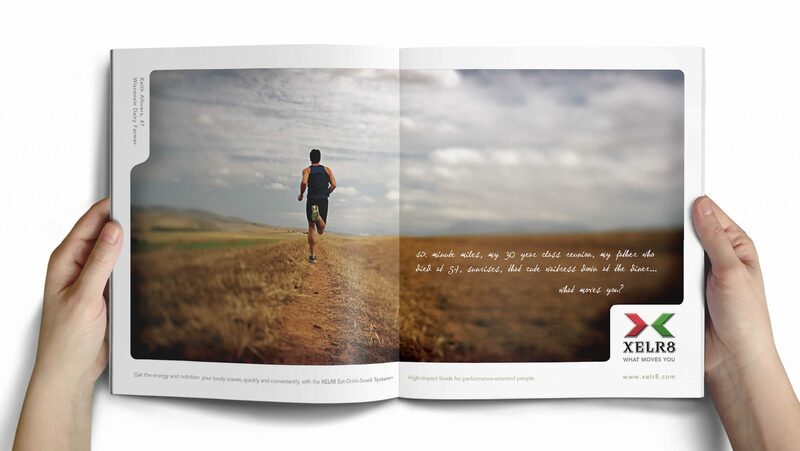 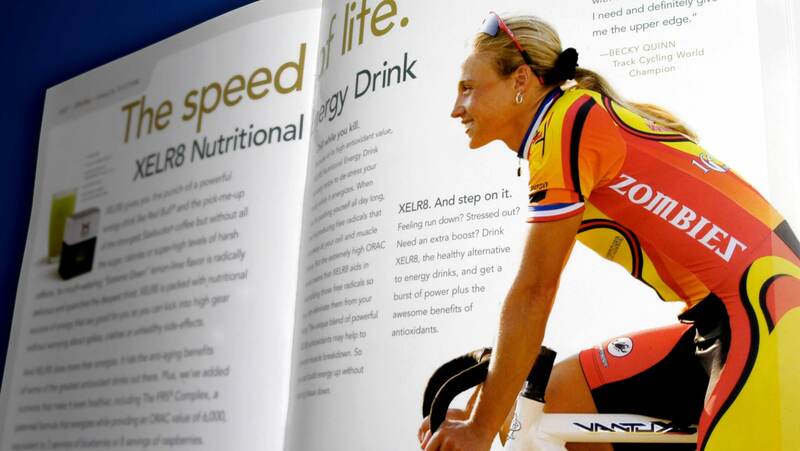 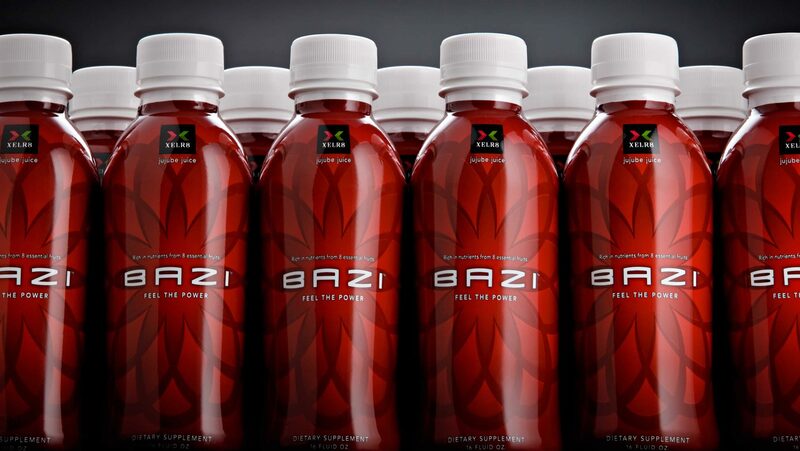 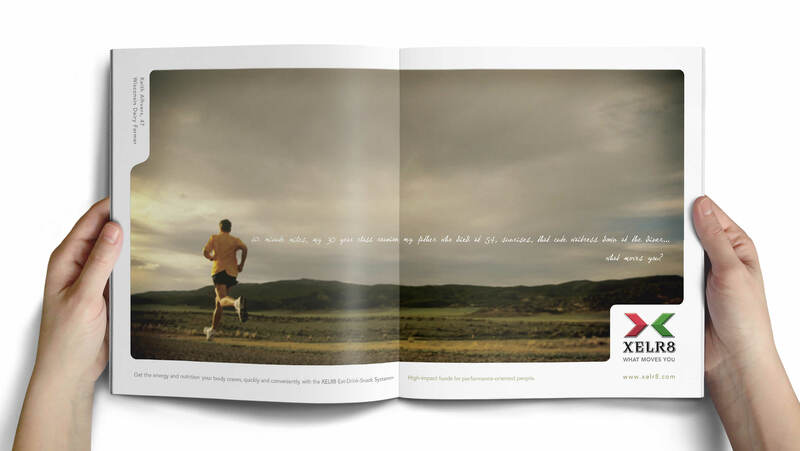 Print collateral for the nutritional drink Bazi featured professional athletes who used the product. 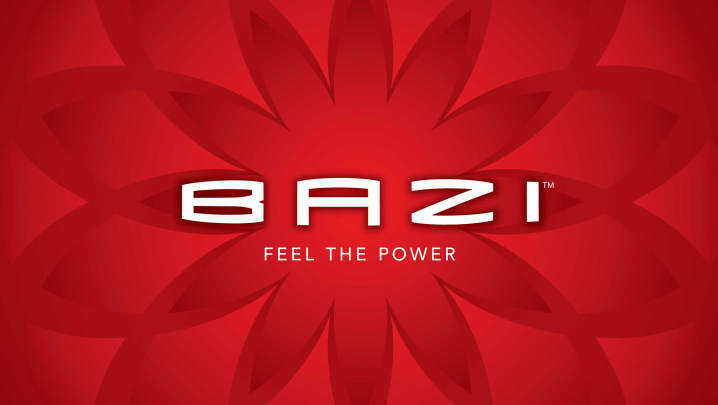 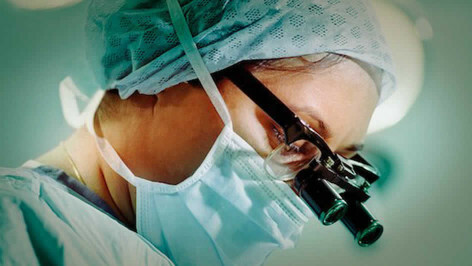 Summation provided company naming and tagline development. 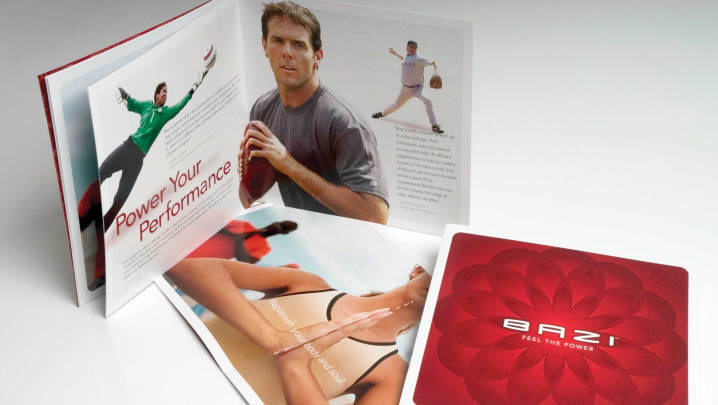 A starter kit, which included printed materials featuring professional sports athletes, introduced new employees to company and product benefits. 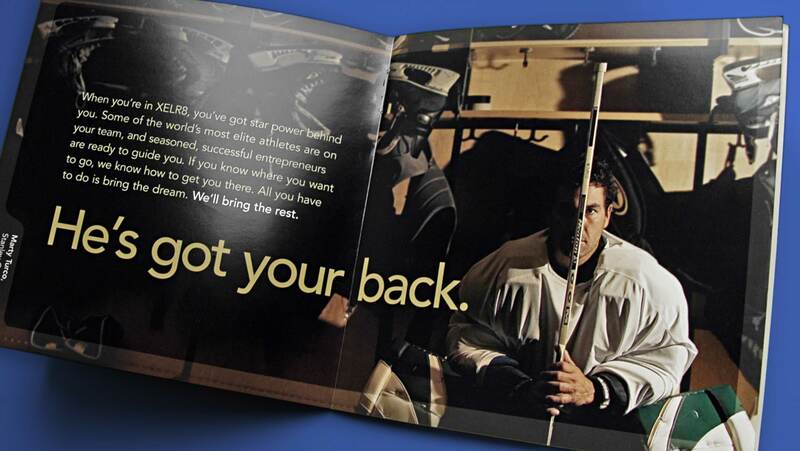 Using the company tagline as an advertising theme, professional athletes who endorse the product were asked “What Moves You?”. 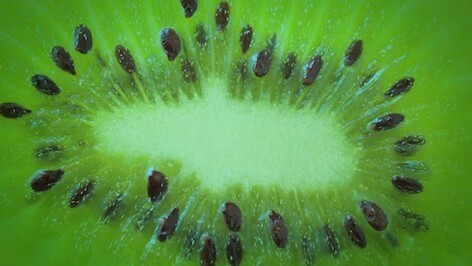 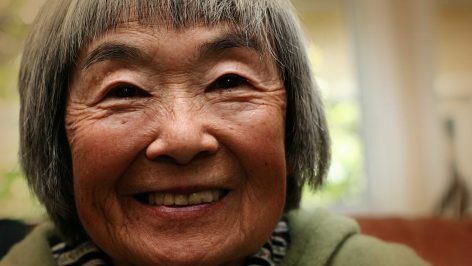 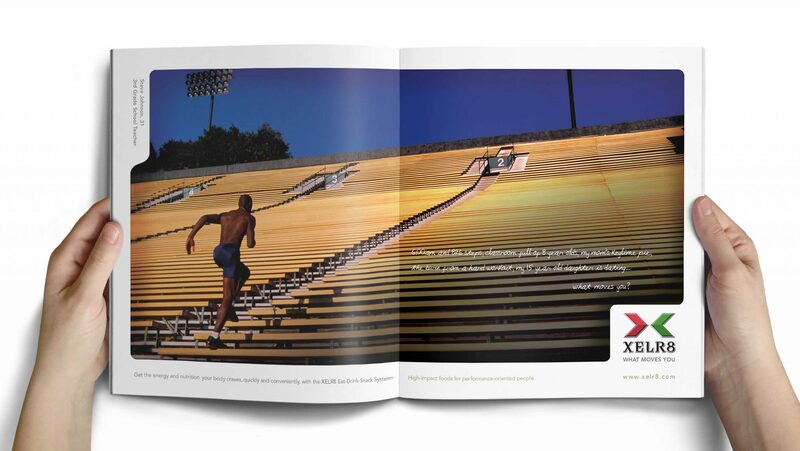 The result was a unique collection of motivations that made a memorable series of ads. 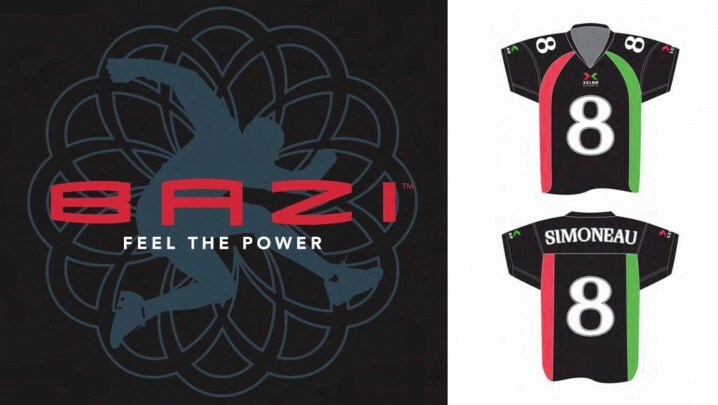 Bazi branding included football jerseys used for a promotion at the Super Bowl. 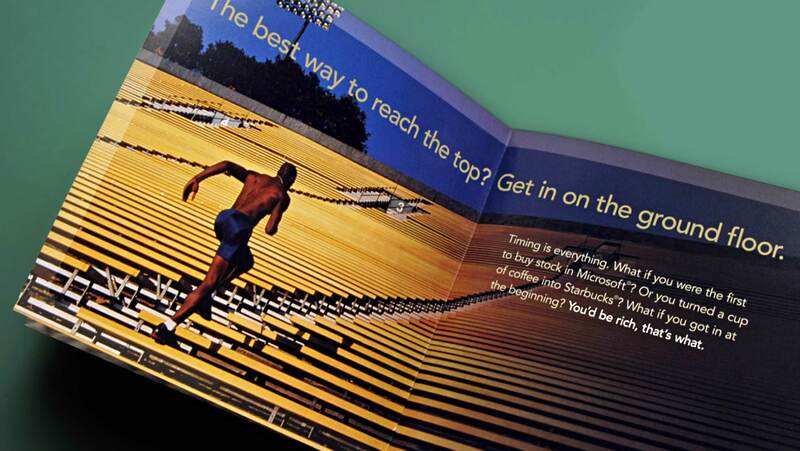 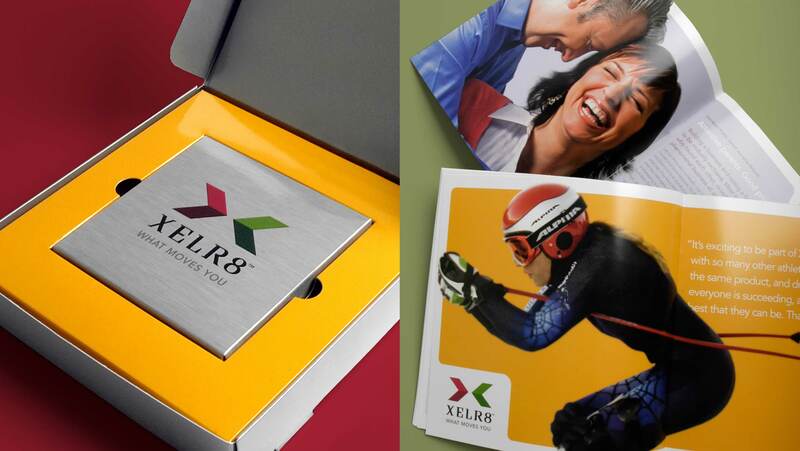 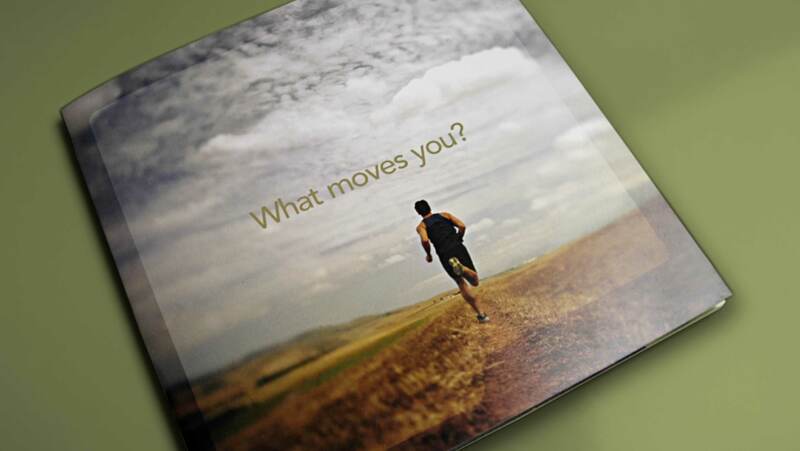 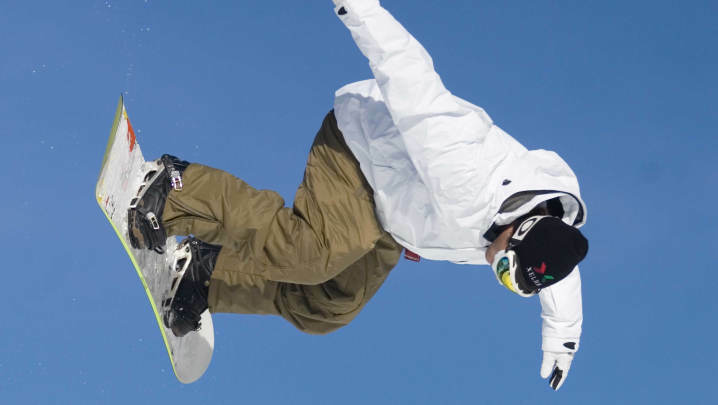 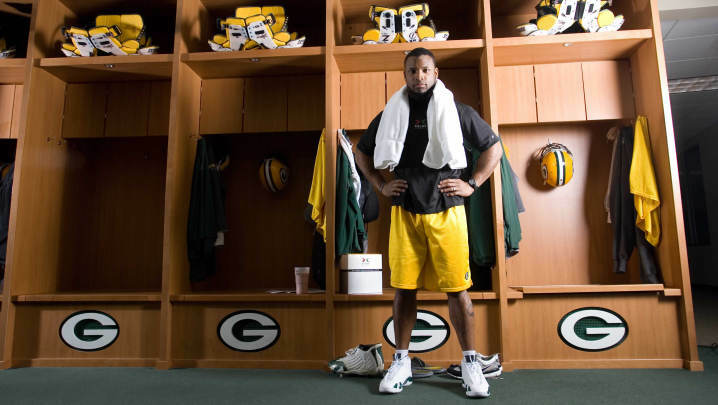 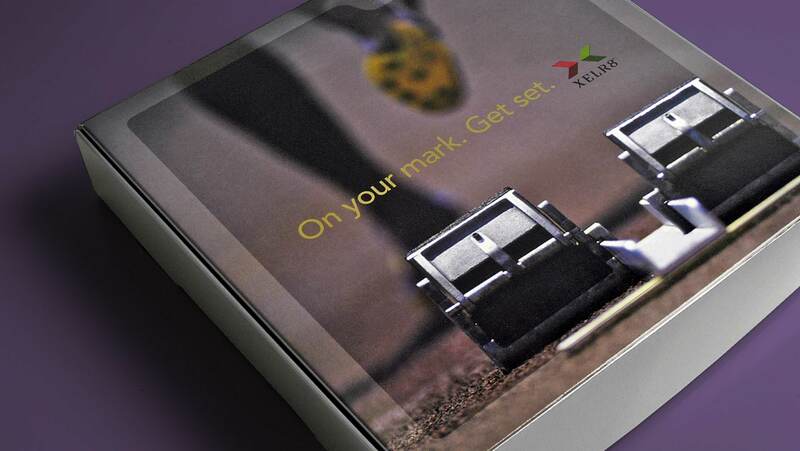 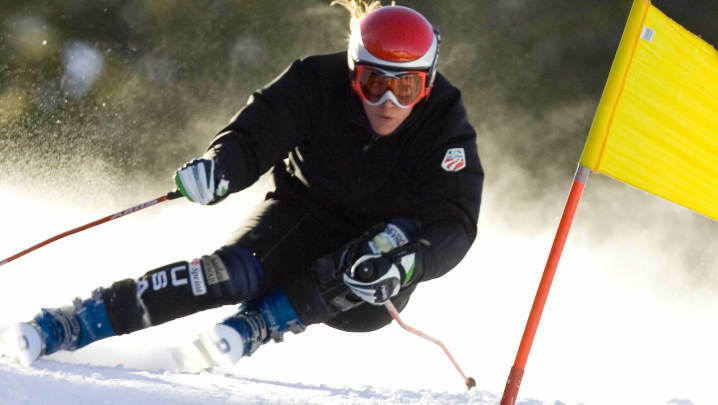 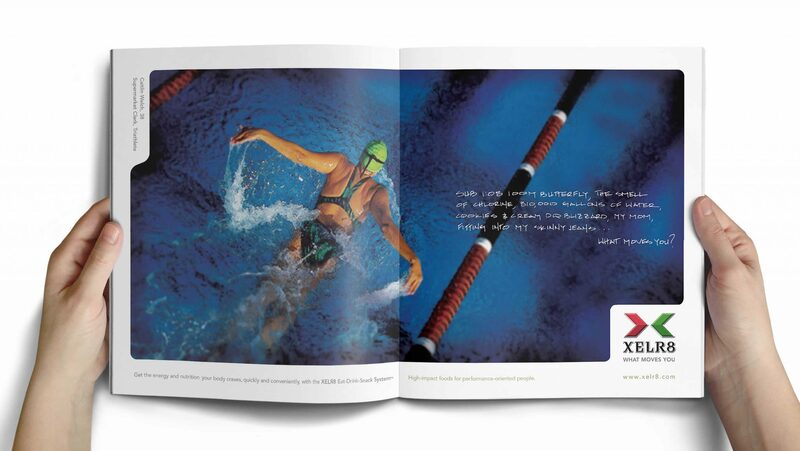 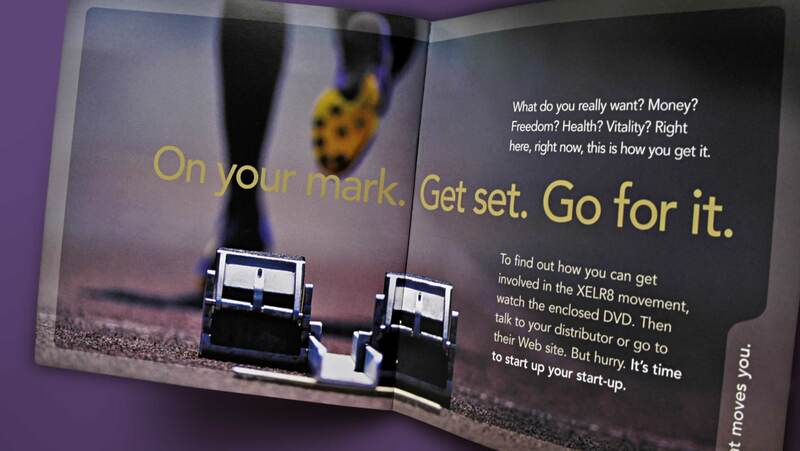 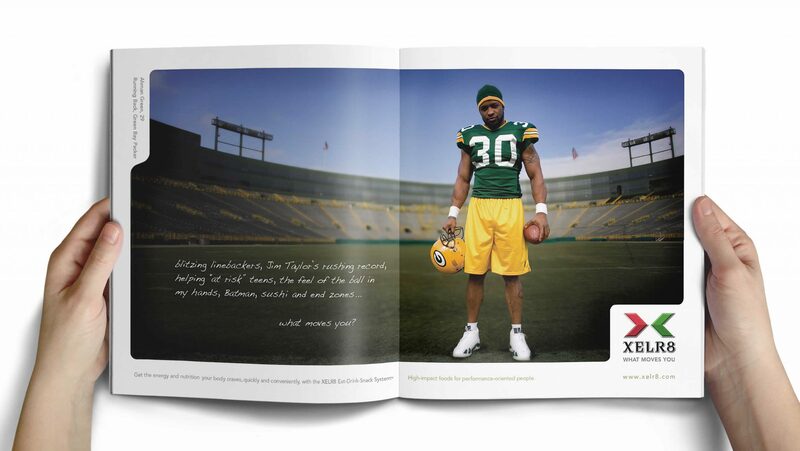 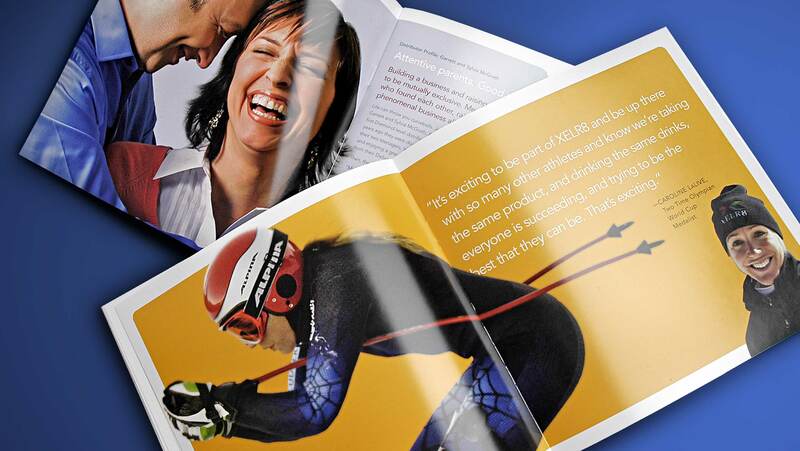 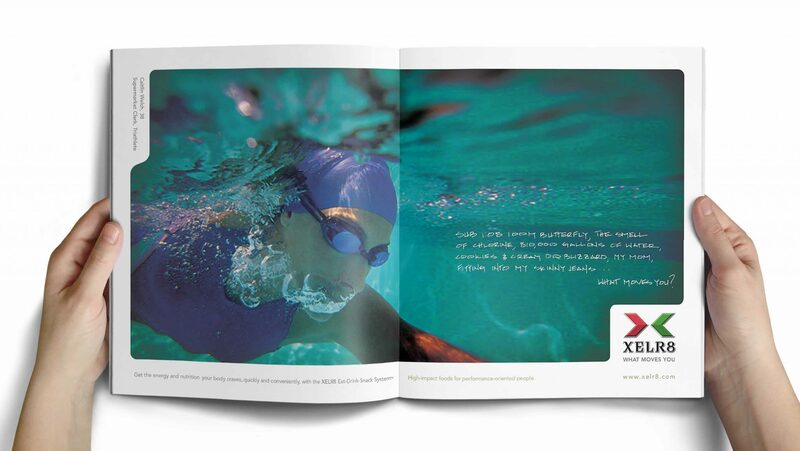 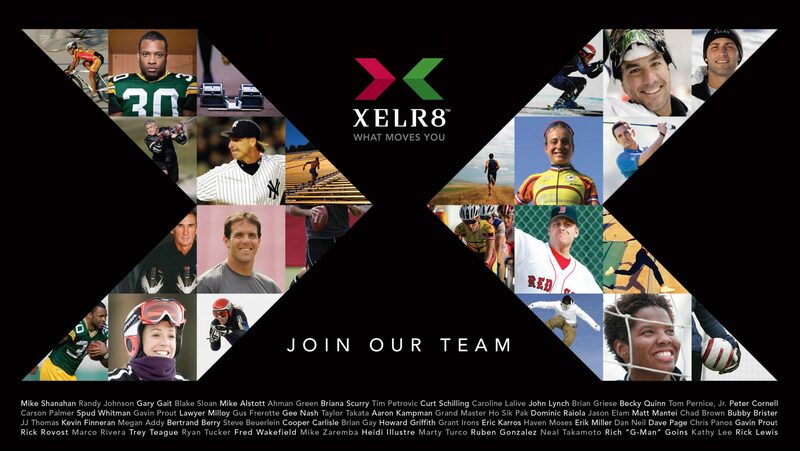 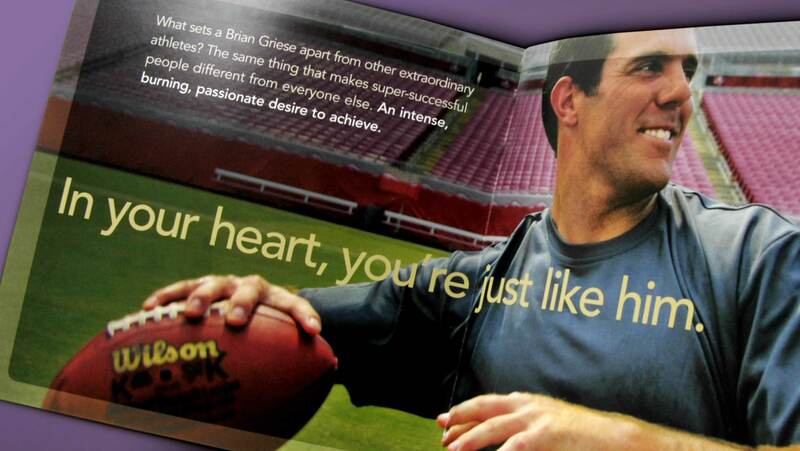 Print collateral showcased athletes from a wide range of professional sports using XELR8 products. 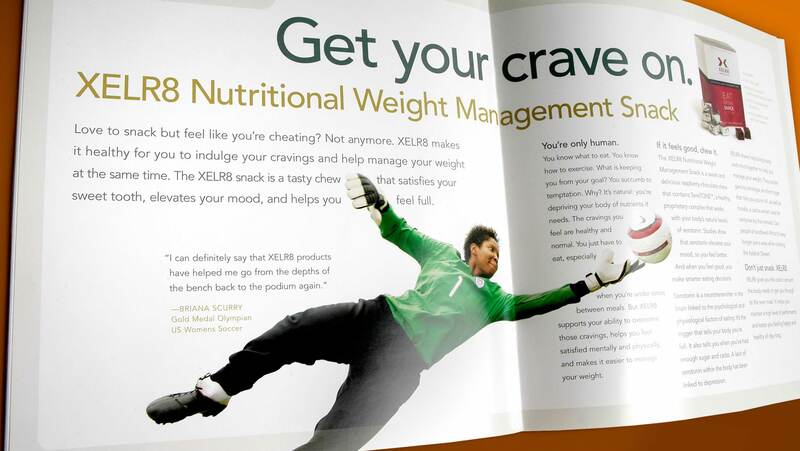 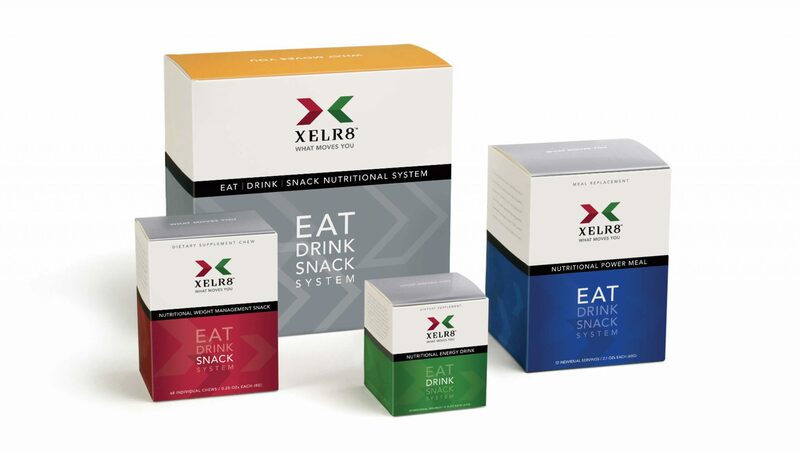 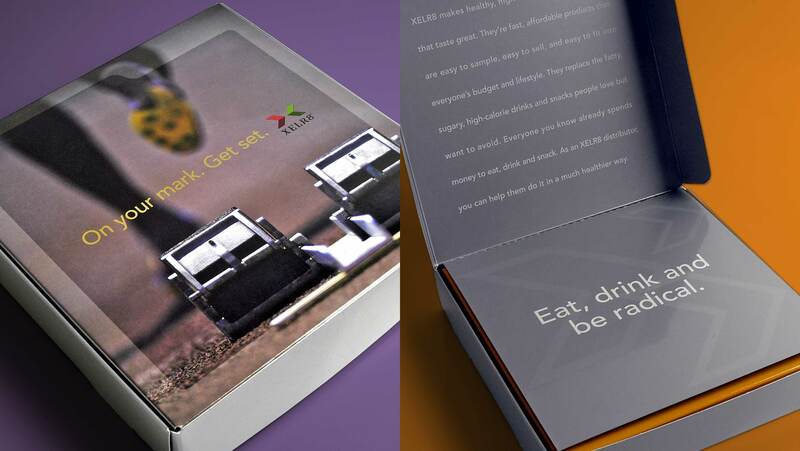 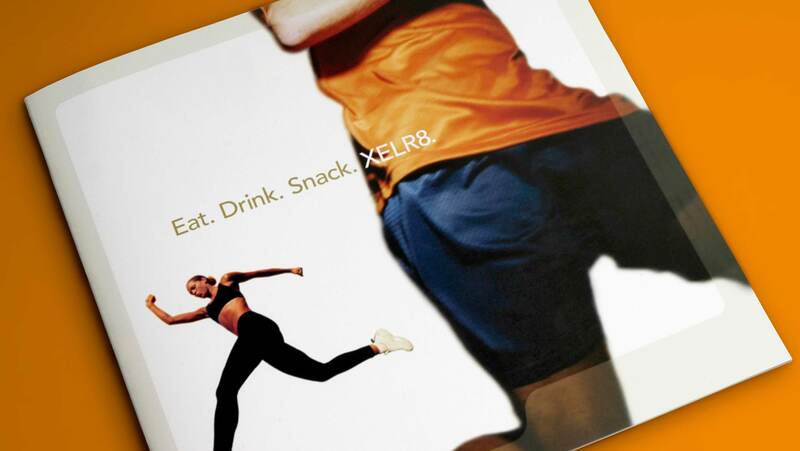 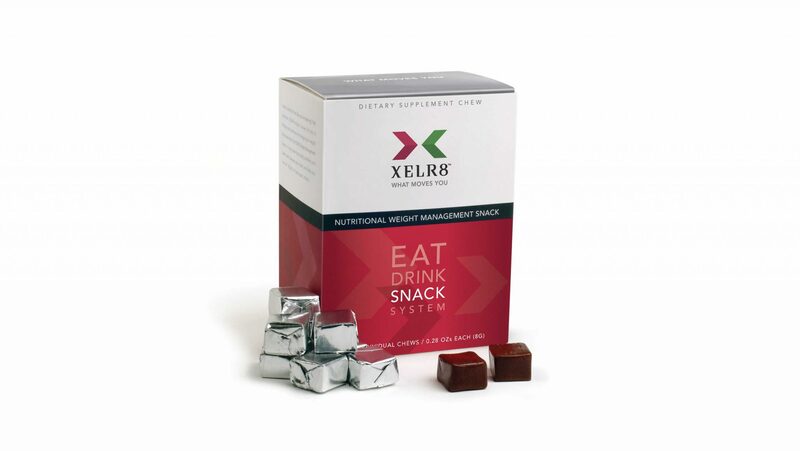 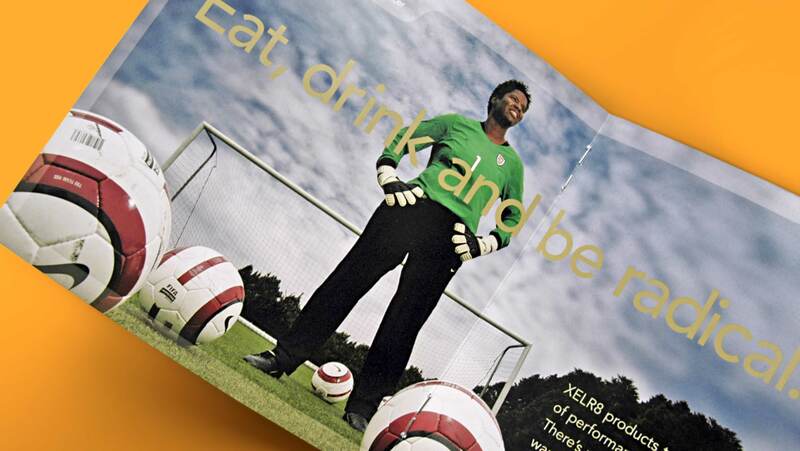 This print collateral brochure explained the Eat-Drink-Snack System™ developed by XELR8. 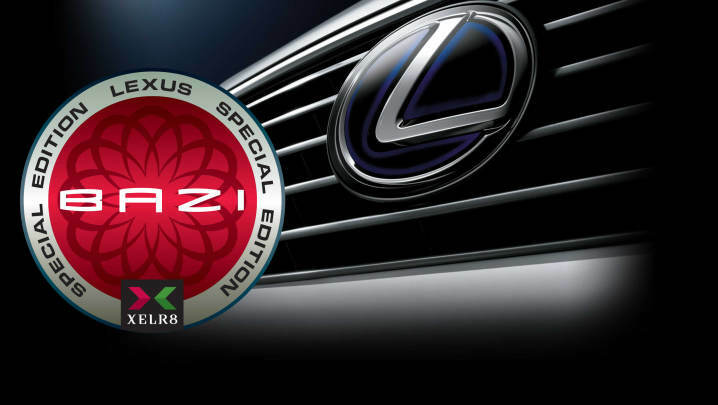 Summation developed this vehicle badge for XELR8 in association with Lexus as part of a sales promotion. 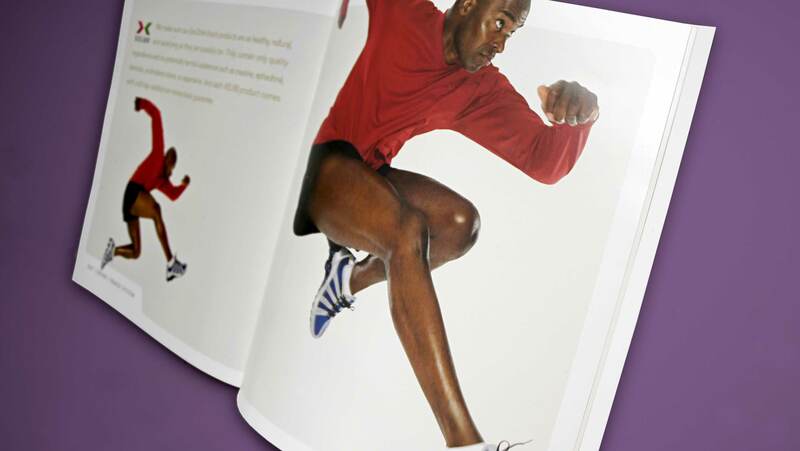 Part of a portrait series of professional athletes used for marketing materials. 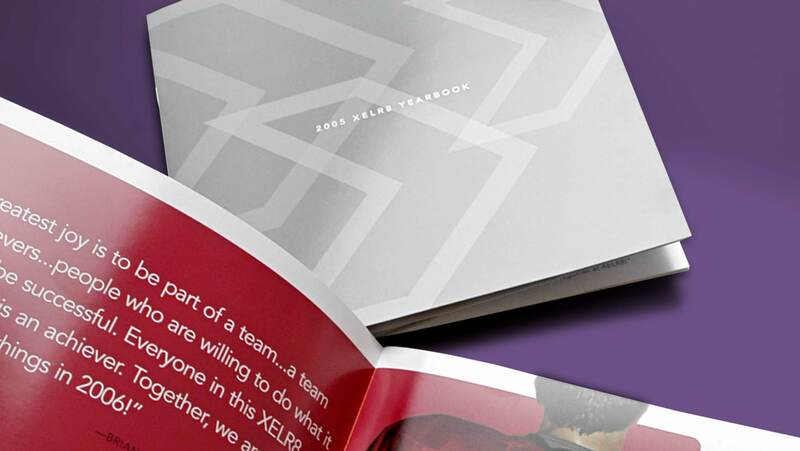 Logo design, product naming, and tagline development were provided by Summation. 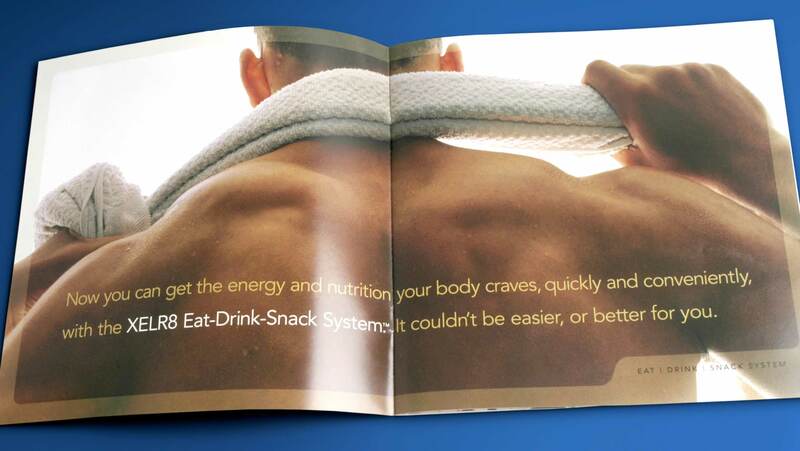 Summation developed this series of packaging for the Eat-Drink-Snack System™. 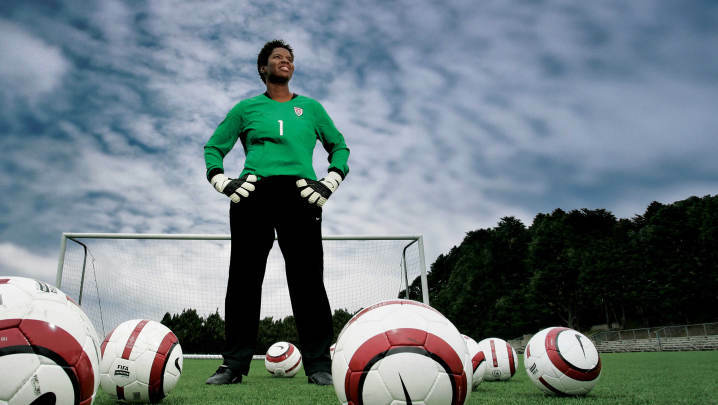 Briana Scurry, goalkeeper for the United States women’s national soccer team and Olympic gold medalist, was one of the featured athletes used in marketing materials. 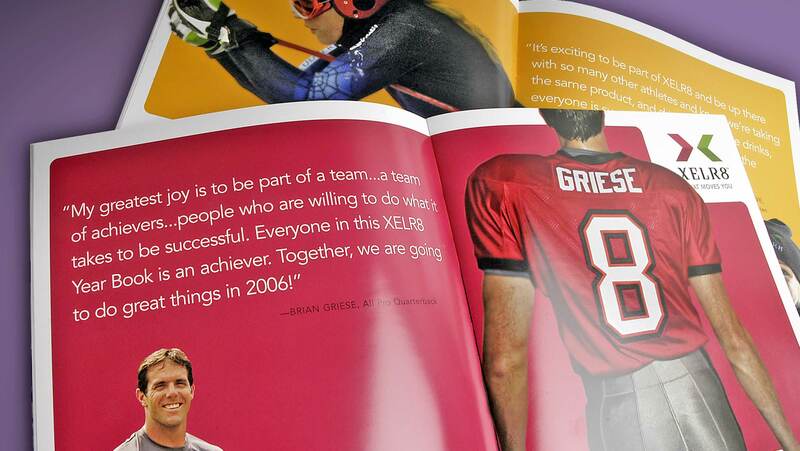 Using stark, bold photography and highlighted quotes from featured athletes, this yearbook showcased product distributor success stories.